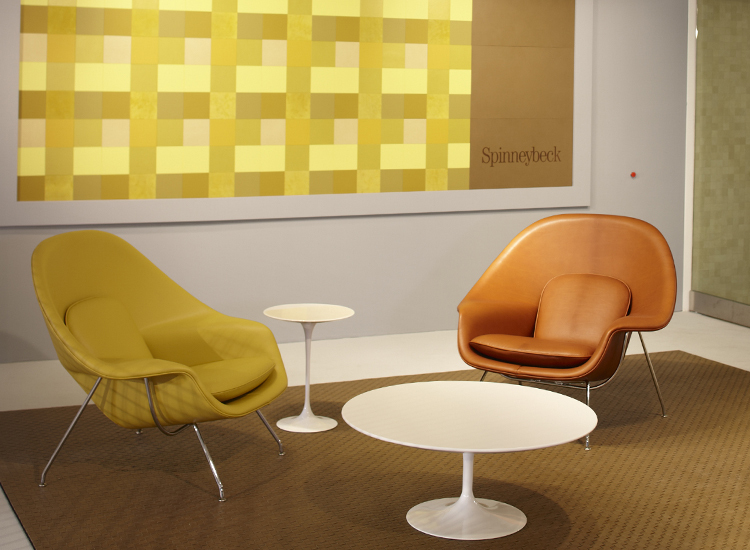 Building on Knoll‘s experience in collaborating with designers who offer a global perspective on work patterns, their new products address organizational solutions for a range of corporate, healthcare and education organizations. 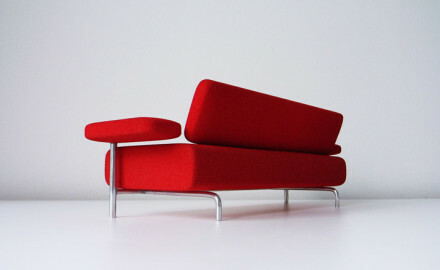 Knoll believes that “Good Design is Good Business”. 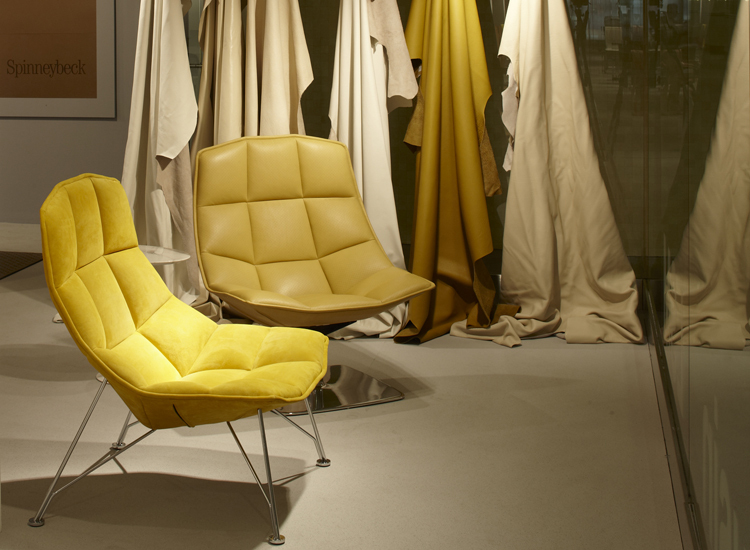 Since Knoll‘s founding in 1938, design integrity has been a guiding principle as they offer insight into the way business is changing and into what’s possible—now and for the future. 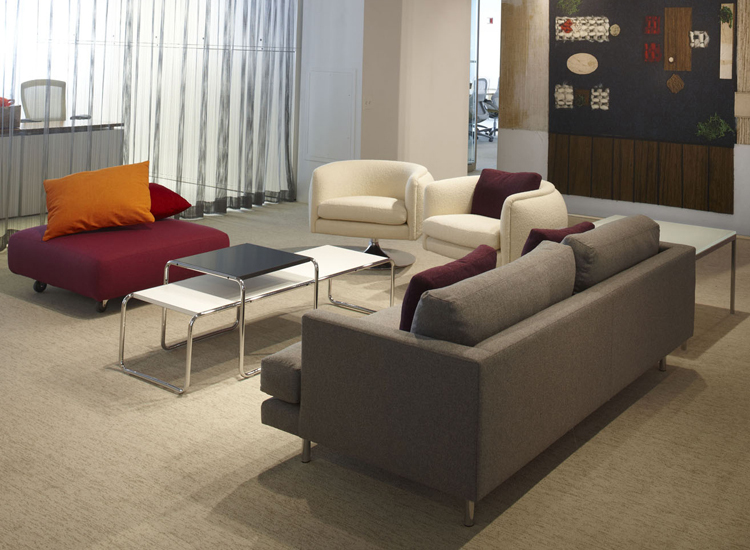 Knoll‘s commitment to modern design has yielded a comprehensive portfolio of furniture products and textiles designed to provide enduring value and help clients shape their workspaces with imagination and vision. 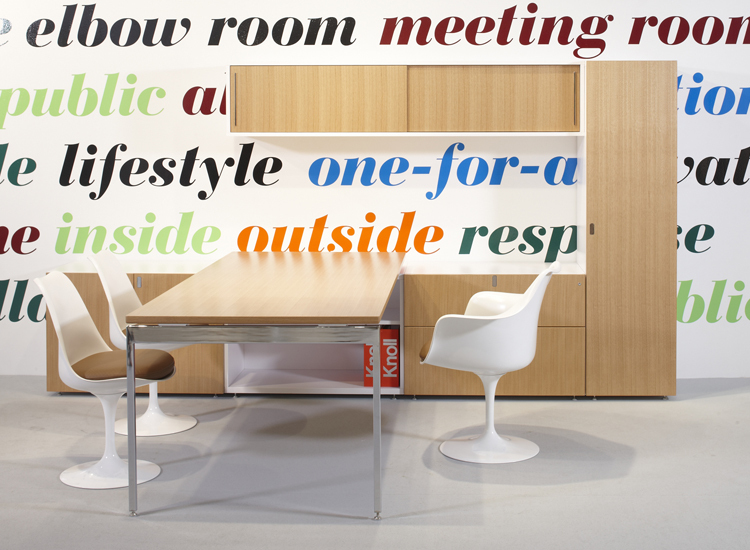 “At Knoll, we watch how the modern office is evolving, and we make furniture that responds and adapts to changing needs. We’re thinking about the emergence of a new workplace climate, the meaning of new workplace planning models and how ecological principles inform our product designs. We engage in research activities, including independent field studies; collaborations with customers, universities and industry associations; and ongoing dialogue with experts from the fields of technology, architecture, design, organizational behavior, psychology and business management. 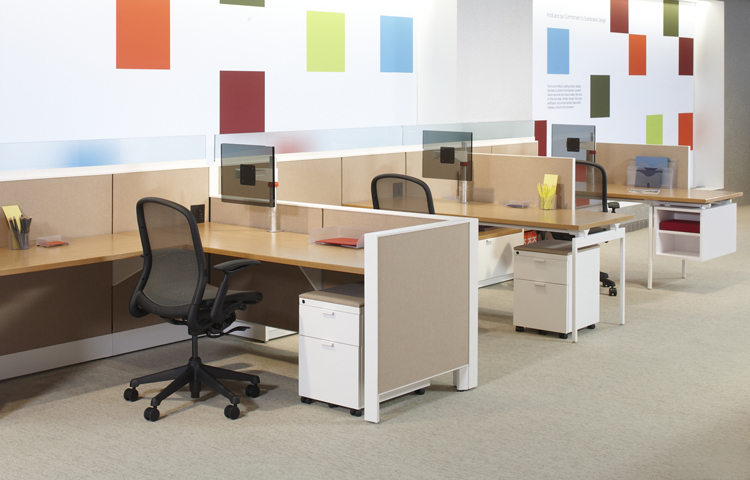 This new generation of products includes office seating and technology support products as well as furniture for open plan workspaces, private offices and conference areas. 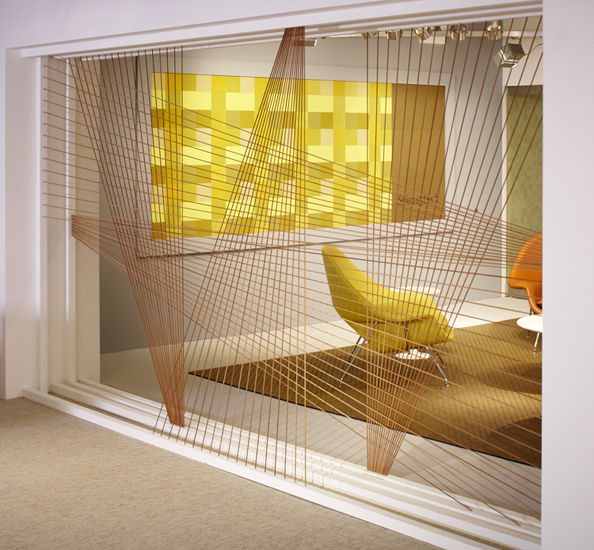 Created by Masamichi Udagawa and Sigi Moeslinger, the principals of Antenna Design, Antenna Workspaces, winner of the 2010 Best of NeoCon Innovation Award, is a pace-setting approach to the workplace that supports the freedom and mobility people seek in today’s office, facilitating transitions between individual and collaborative work. 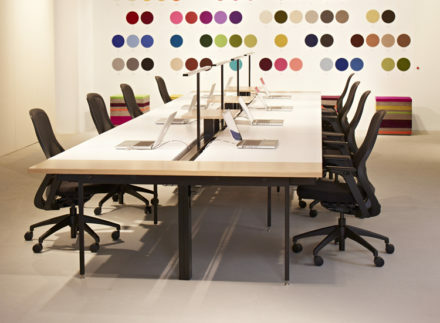 Desks, tables, screens and storage combine and recombine in a seemingly infinite number of ways for open plan environments, private offices and meeting spaces. Tables and Desks. 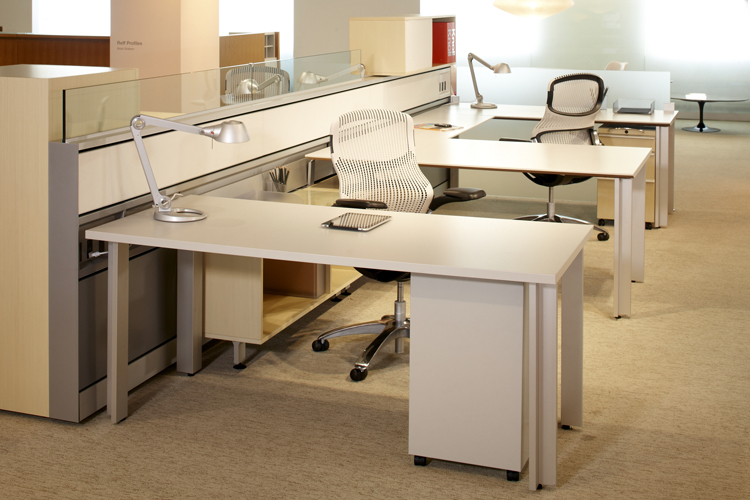 Counter height tables and adjustable, seated-to-standing height desks facilitate a range of work postures. 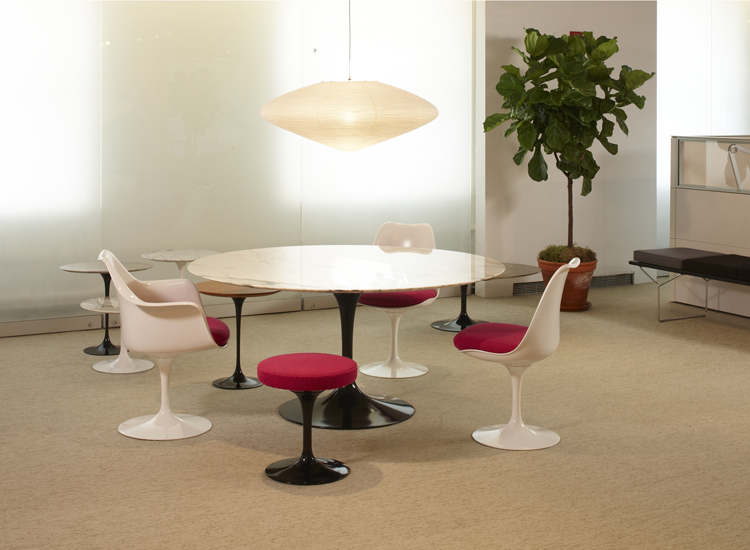 Preconfigured tables, including round and track-shape tops, simplify specifications, especially for activity areas. 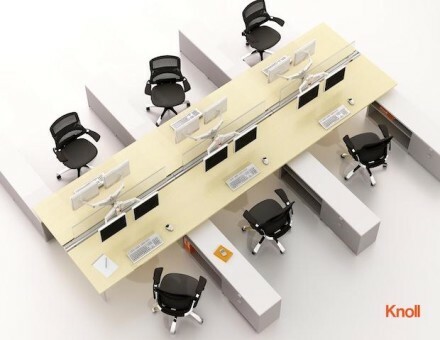 Linked Desks. 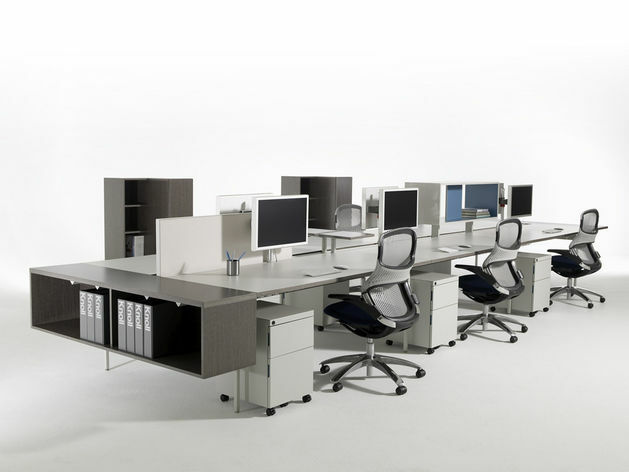 End and modesty panels for desks, L-screens, tackable screens and floorstanding storage provide enhanced privacy and enclosure. Big Table. 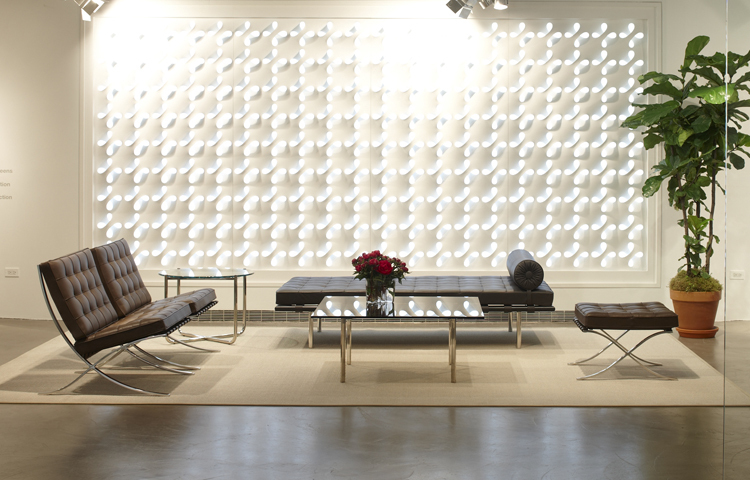 Intermediate screens delineate individual areas along the bench while a new table structure permits suspended storage. 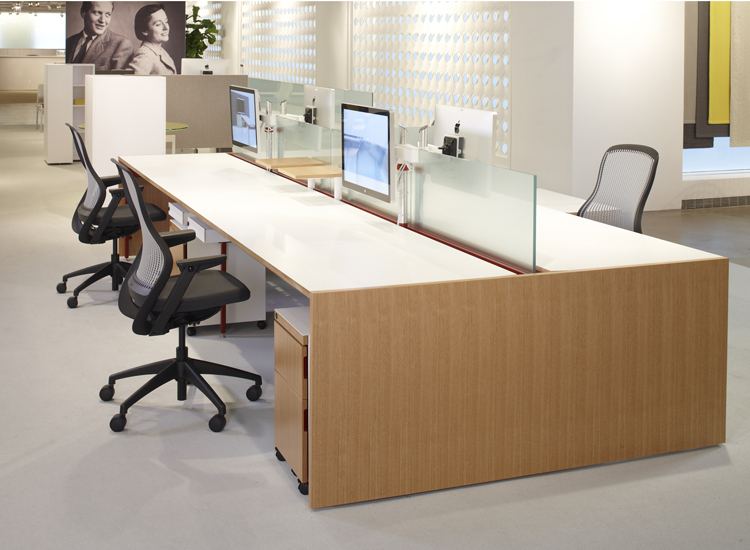 Work surface returns with S-screens, orienting users perpendicular to the bench, support focused work. Private Offices. 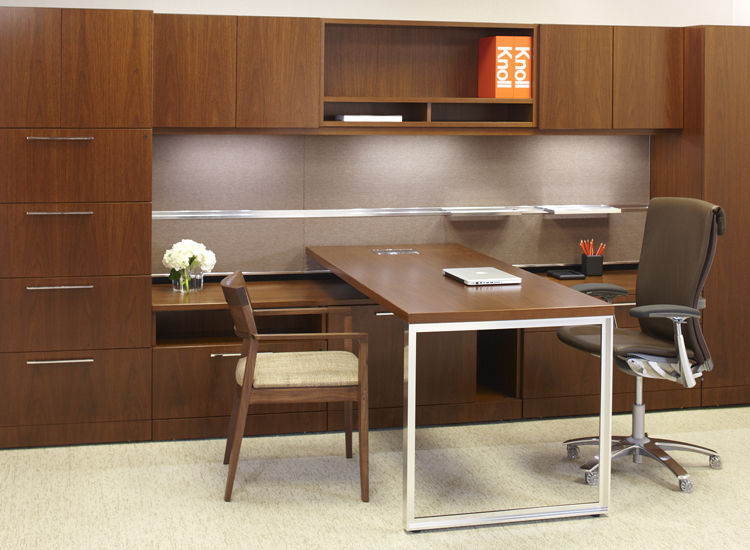 A full range of wood storage elements expands planning opportunities for Antenna in the private office. The display also includes Antenna Workspaces in combination with the Fence data and technology spine, and Template™ storage system. Antenna Workspaces is manufactured using clean technologies with recycled and readily recyclable materials and has been designed for easy disassembly. 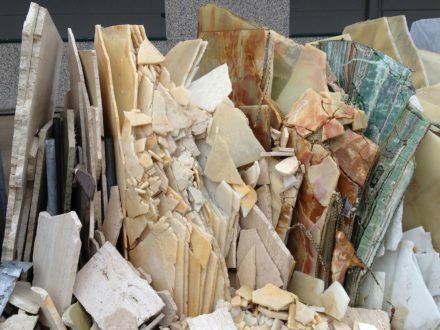 Components are PVC-free and fiberglass free. 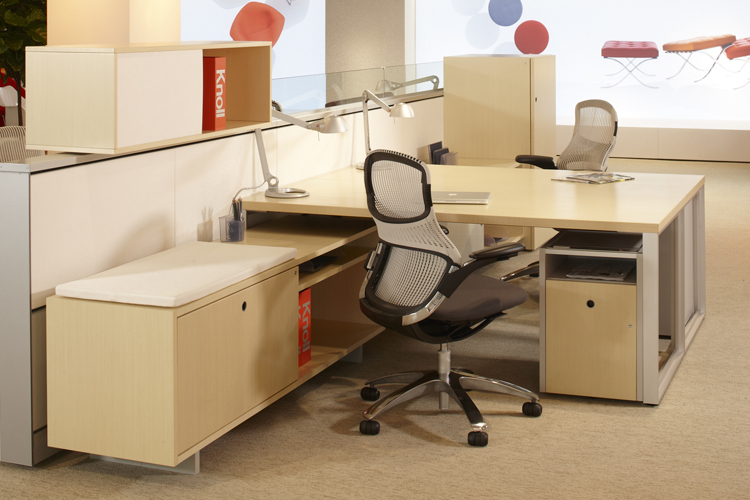 Antenna™ Workspaces is available with an FSC® Certified claim without asking, at no surcharge. Antenna Workspaces is GREENGUARD Indoor Air Quality Certified® and GREENGUARD Children & Schools℠ Certified as well as BIFMA level™ 3 Certified®, the highest rating of the BIFMA sustainability standard. 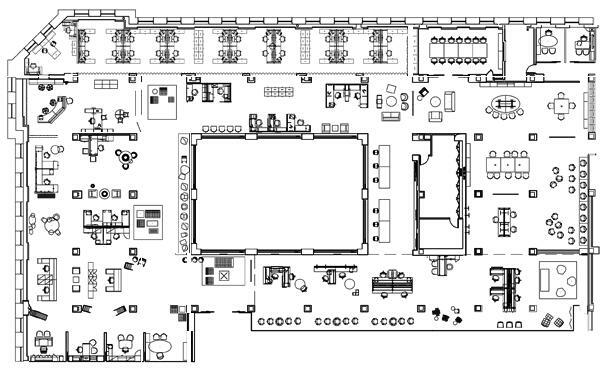 Antenna Workspaces can contribute to LEED® certification. Sapper™ Monitor Arm Collection Enhancements. · A parabolic shaped beam, which maximizes worksurface use, can be stacked one or two rows high and hold 3-8 monitors for trading, security and healthcare and other heavy usage environments. Multiple monitor beams are available in three sizes — 50″, 64″ and 76″ — and can be mounted on three different mast heights. · An innovative monitor arm, Sapper 50, can hold up to 50 pounds for heavier monitors, in addition to the standard monitor arm that can hold 20 pounds. · An enhanced triple monitor arm accommodates monitors up to 22″. 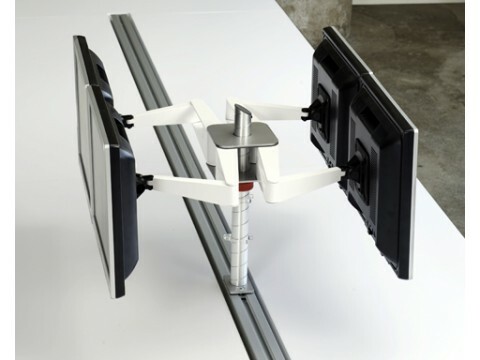 The beam and monitor arms are easy to assemble and come with a variety of mounting options. 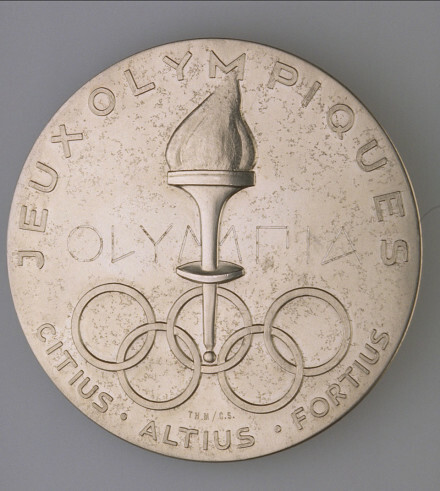 Fast release or anti-theft features can also be activated by the user based on preference. All items can be ordered in kits or à la carte to allow for interchangeability and evolving needs. Made with recyclable materials, the Sapper Monitor Arm Collection is GREENGUARD Indoor Air Quality Certified®. 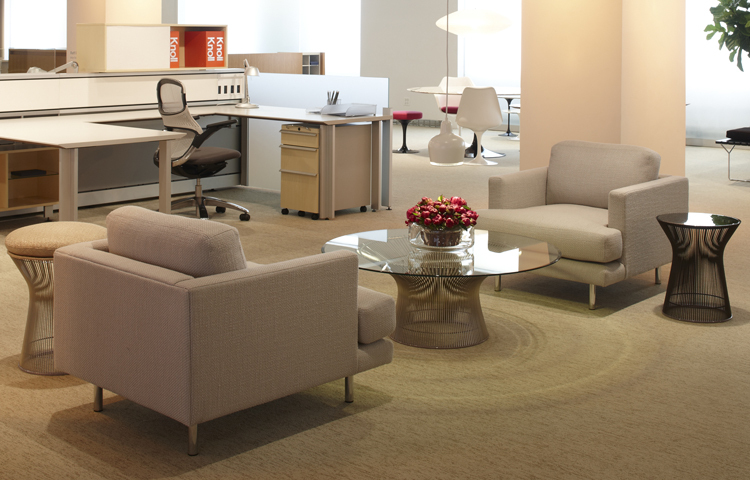 Reff Profiles™ for Administrative and Reception Areas. New Reff Profiles planning paradigms for administrative and reception areas expand the progressive, architectural presence of Reff Profiles for private offices and open plan workspaces, while leveraging Reff’s historical benefits of refined wood detailing, planning flexibility and breadth of options. 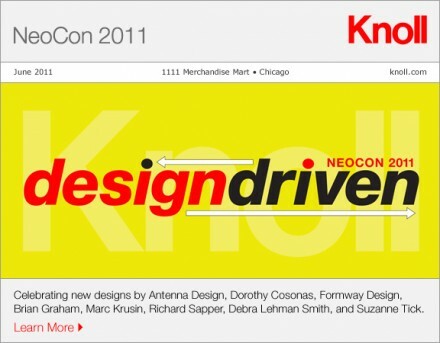 Knoll introduced Reff Profiles in 2010. Reff Profiles designer Brian Graham, whose innovative, architectural furniture has been recognized for design excellence and quality, scaled and detailed Reff Profiles components to transition from the private office to open plan workspaces. 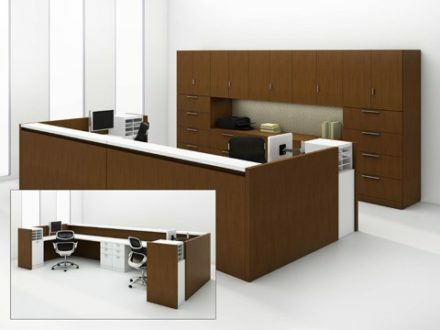 His new designs for administrative and reception areas offer three key areas of enhancement: greater reconfigurability; enhanced user experience; and expanded technology support. 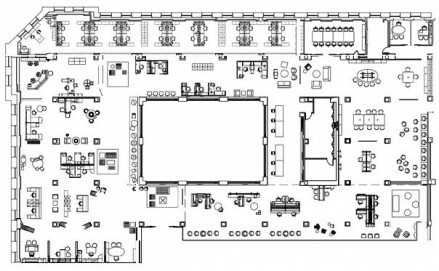 For example, components can be reconfigured as user needs change; innovative storage solutions meet the demands of the administrative environment; and a highly-adaptable task panel maximizes space and provides data and power support. 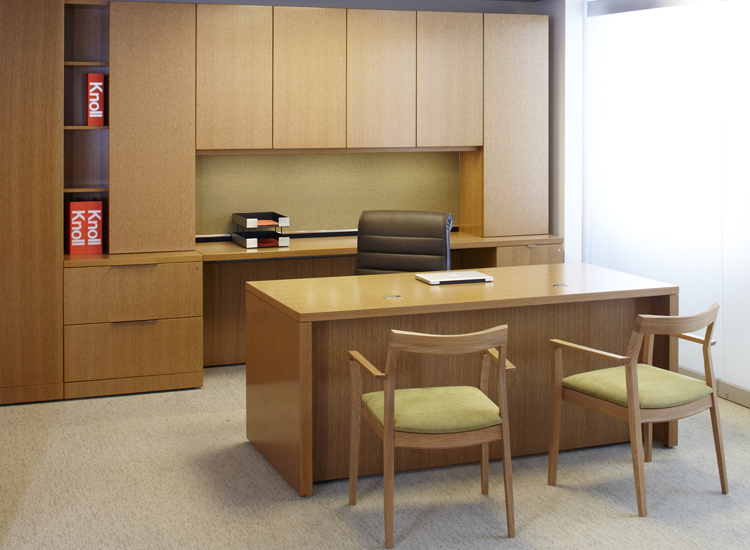 Importantly, Reff Profiles for administrative and reception areas offers a flexible, cost effective alternative to custom millwork. 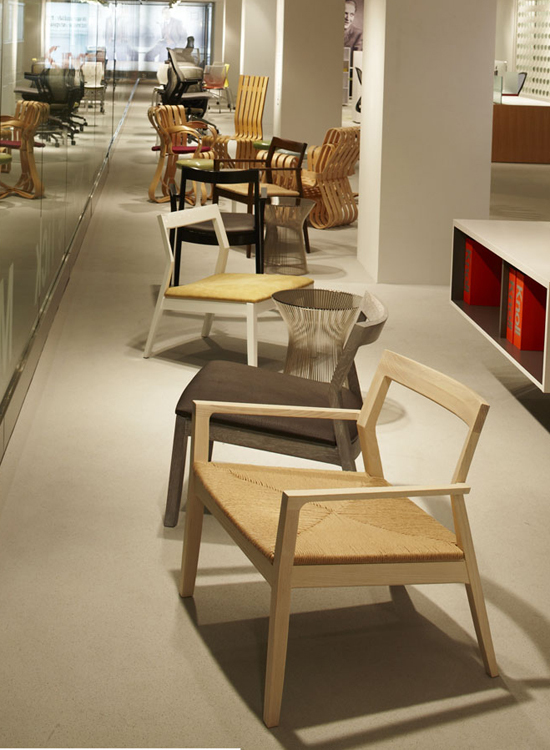 With strong horizontal lines and visual lightness, the product line includes an expansive vocabulary of wood and other materials, including glass and solid surface components, to address a range of aesthetic, budgetary and personal preferences. Reff Profiles is manufactured using clean technologies with recycled and readily recyclable materials and has been designed for easy disassembly. The Reff Profiles product line is available with an FSC® Certified claim without asking, at no surcharge. Reff Profiles is GREENGUARD Indoor Air Quality Certified® and GREENGUARD Children & Schools Certified℠ as well as BIFMA level 3 Certified®, the highest rating of the BIFMA sustainability standard. 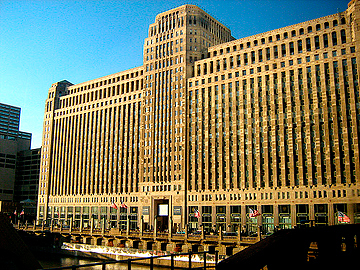 Reff Profiles can contribute to LEED® certification. Reff Profiles reflects the Knoll commitment to FSC® (Forest Stewardship Council™) Certified wood. 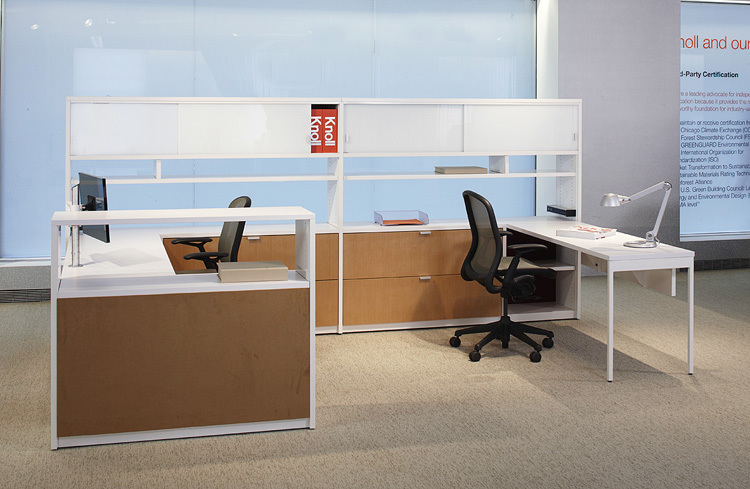 Knoll established FSC® (license code FSC® C028824) as its manufacturing standard for general open plan office systems, casegoods and tables, leading the contract furniture industry with policies that recognize that sustainable wood harvesting can contribute to addressing environmental issues. FSC® is the international standard setting body for defining and measuring a well managed forest and providing traceability through chain-of-custody certification. 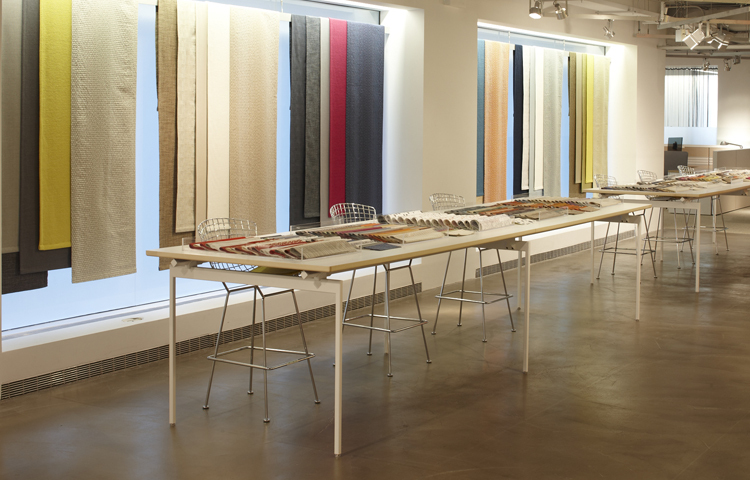 The Knoll NeoCon 2011 showroom also included planning solutions for AutoStrada and Dividends Horizon open plan workspaces and private offices, as well as a Healthcare product display. 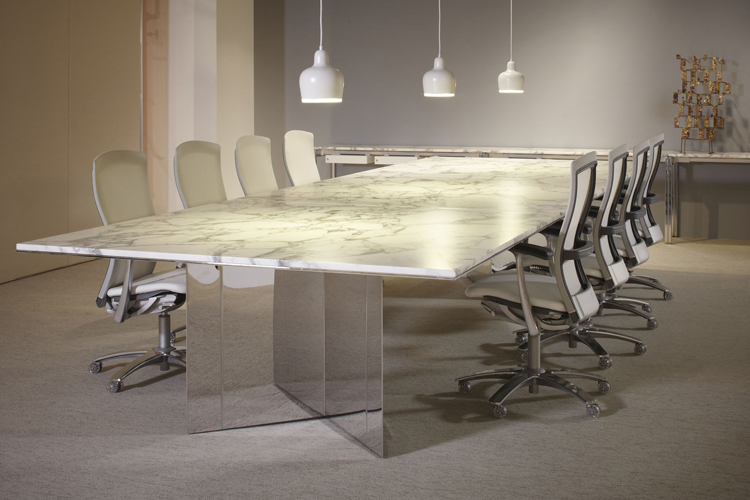 LSM Conference Table Collection for KnollStudio. 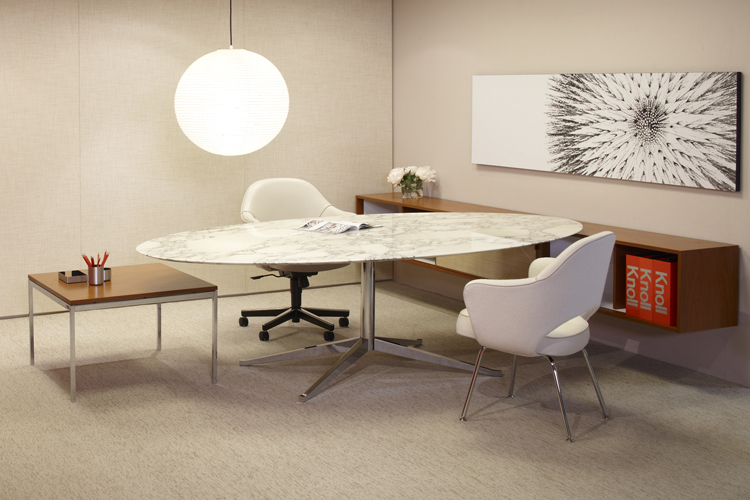 A new collection of conference tables, designed by Lehman Smith McLeish, offers a refined approach to team work and communication. 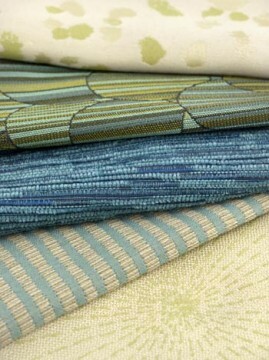 The Collection’s aesthetic core pays particular attention to the purity of line and juxtaposition of materials and finishes. Balancing line and volumes through rigorous engineering, the broad range of tables, which meet applicable ANSI/BIFMA standards for desks/tables, maximize leg clearance as well as respond to the electrical and communication demands of contemporary collaborative work areas, from conference rooms to the open plan workplace. 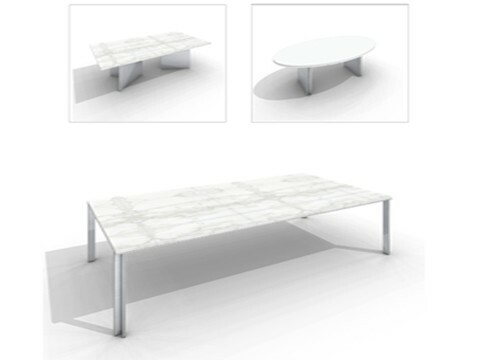 The collection’s signature table is comprised of a uniquely angled leg that is turned out to the table’s corner, allowing for the leg to be completely flush with the edge. This innovative structure supports up to a 120″ span between legs. The LSM Collection encompasses a palette of striking worksurface and base shapes, subtlety balancing the dynamic between mass and form. 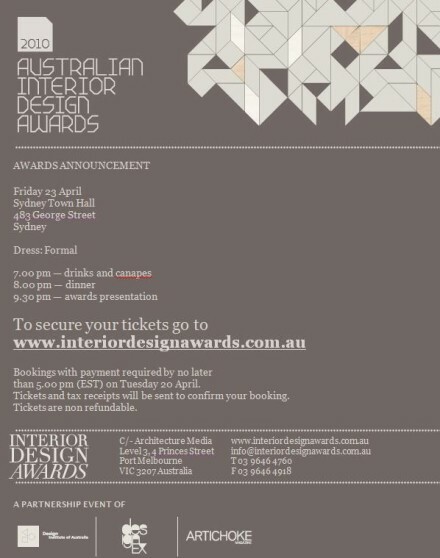 Pioneering new combinations of materials include anodized aluminum, polished and painted steel, Corian®, laminated glass, stone, and sustainable veneers. The LSM Collection is manufactured using clean technologies with recycled and readily recyclable materials and has been designed for easy disassembly. Components are PVC-free and are also available with sustainably harvested veneer components without asking, at no surcharge. 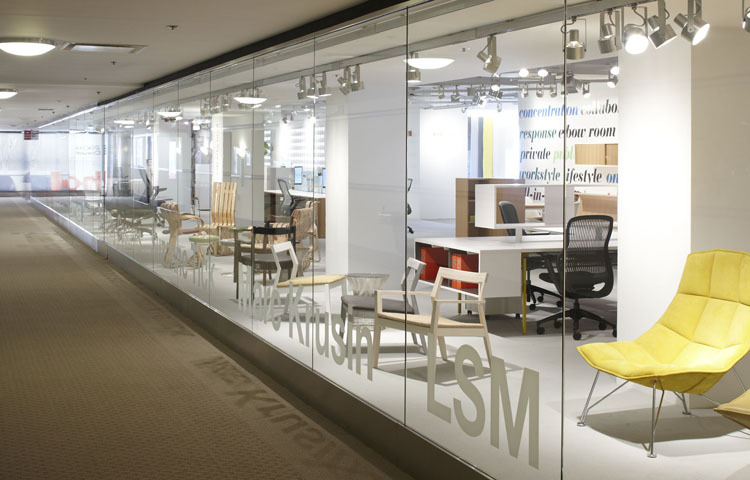 The LSM Collection is seeking GREENGUARD® certification and can contribute to LEED® certification. Krusin Seating Collection for KnollStudio. 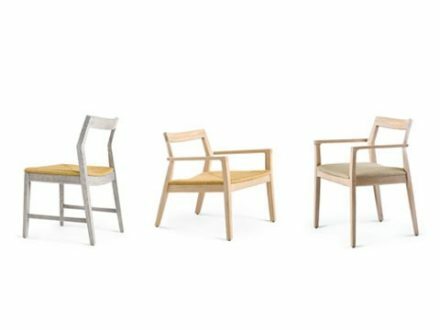 The Krusin Seating Collection of wood guest seating, including both side and lounge chairs, takes a traditional category and asserts itself with an industrialized craft aesthetic that acknowledges offices are becoming welcoming spaces with greater comfort. 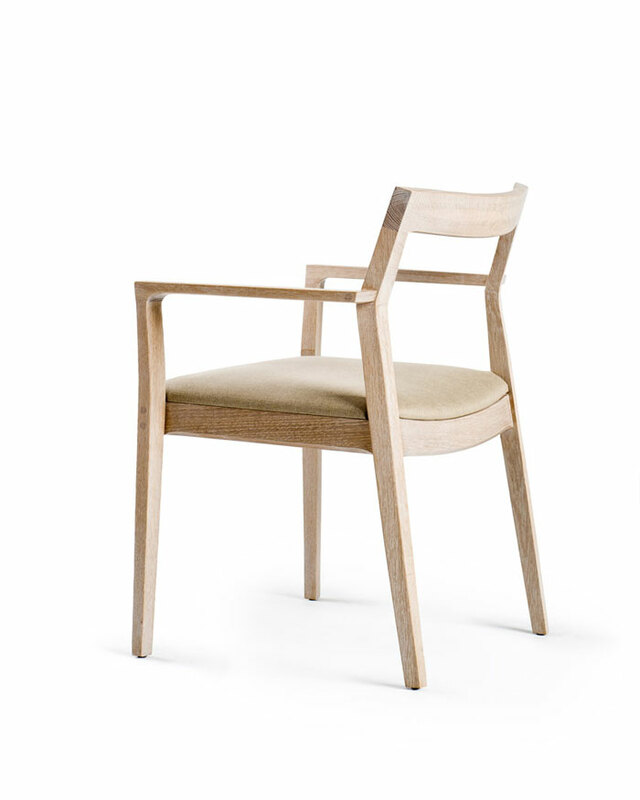 Created by Marc Krusin, a London-based industrial designer, the Collection celebrates clean lines and unassuming beauty. 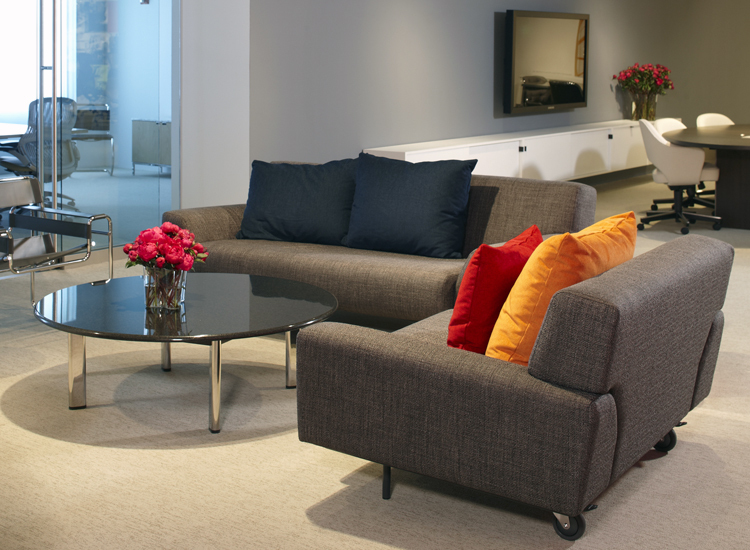 It includes side chairs for private offices and reception areas as well as more casual lounge chairs for open plan areas. 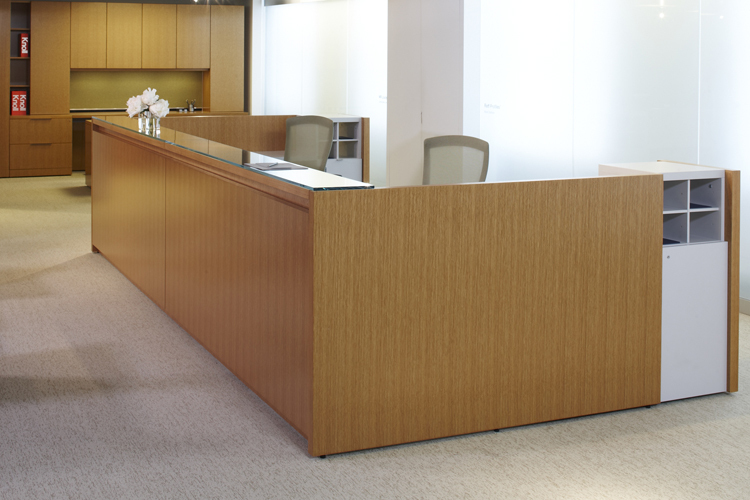 Constructed in the United States using the highest quality American and European hardwoods, the Collection passes applicable ANSI/BIFMA standards for office seating and is seeking GREENGUARD® certification. 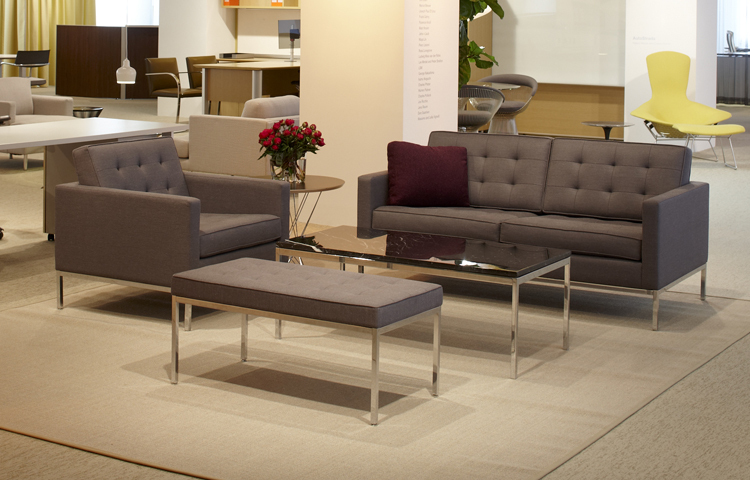 The Knoll 2011 NeoCon display also underscores the Company’s ongoing commitment to achieving BIFMA level™ 3 sustainable design certifications for its open plan, private office, seating, and filing product lines. 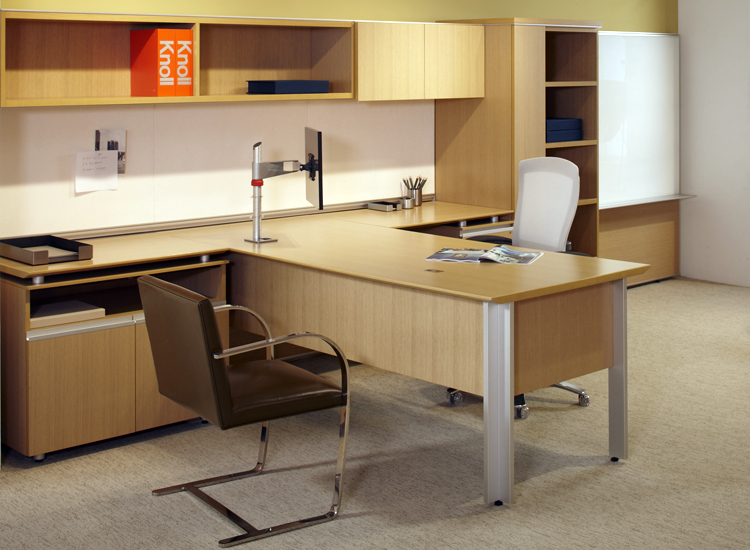 Level 3 is the highest rating a product can achieve under the Business and Institutional Furniture Manufacturer’s Association’s (BIFMA) level furniture sustainability certification. To date, Knoll has been awarded level 3 certifications for eight products: Antenna™ Workspaces, AutoStrada™, Calibre, Dividends Horizon®, Generation by Knoll®, MultiGeneration by Knoll™, Reff Profiles™ and Series 2. 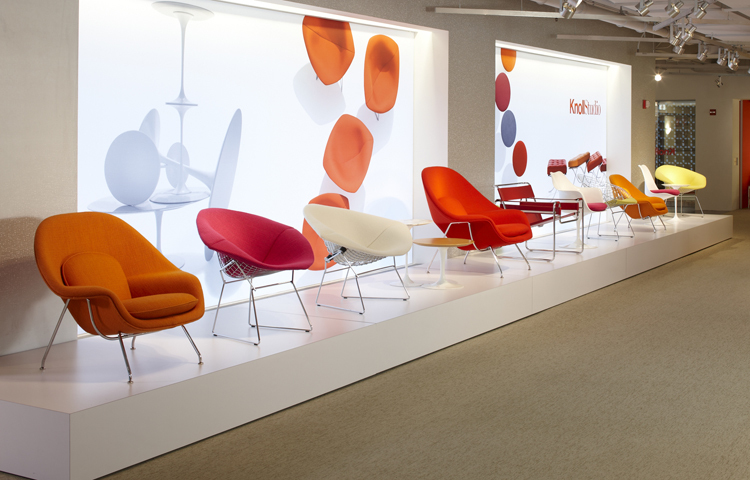 “Our focus on modern design and sustainable practices continues to transform Knoll,” commented Pardo. 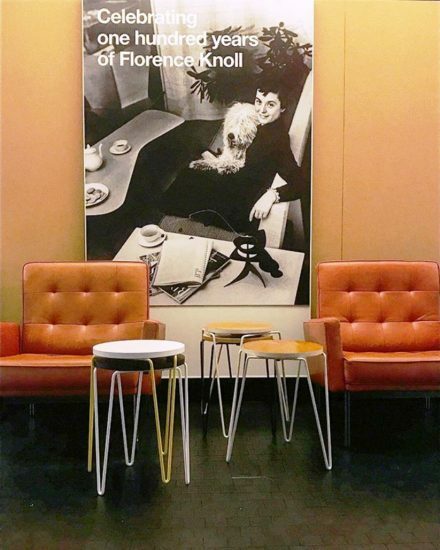 Modern always embodies the essence of Knoll design innovation and the Knoll brand—past, present and future—since the company’s founding in 1938. 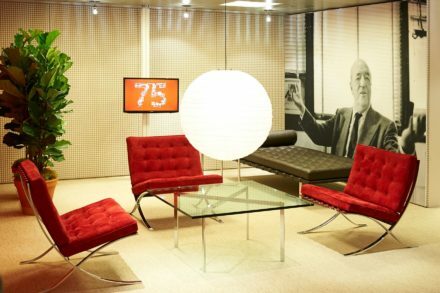 This year, Knoll celebrates its 75th anniversary at Neocon 2013, with a range of new products and planning approaches that celebrate classic and contemporary Knoll design. 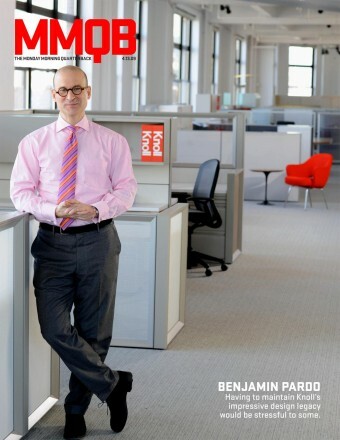 The 21st century workplace poses one constant: change. 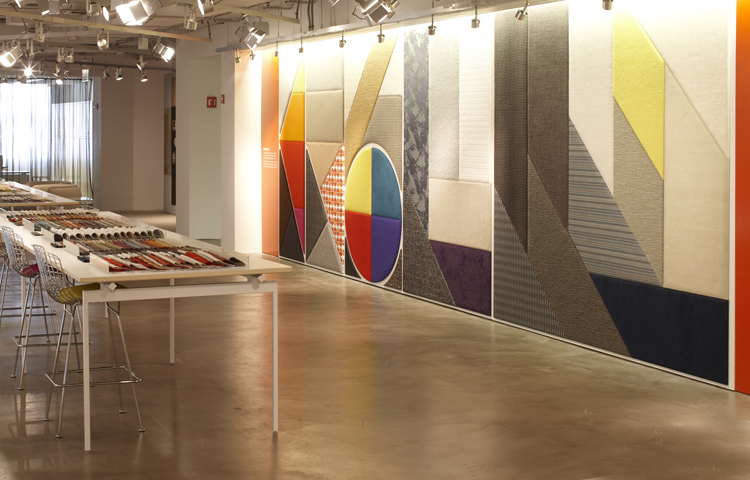 At NeoCon 2014, Knoll presented “r/evolution workplace”, a platform that illustrates the freedom and opportunity organizations have to re-imagine the workplace by exploring four distinct interior planning approaches. Several new products that support r/evolution workplace were shown including Remix Work Chairs, Antenna Telescope Adjustable Table System and k.lounge Collection. 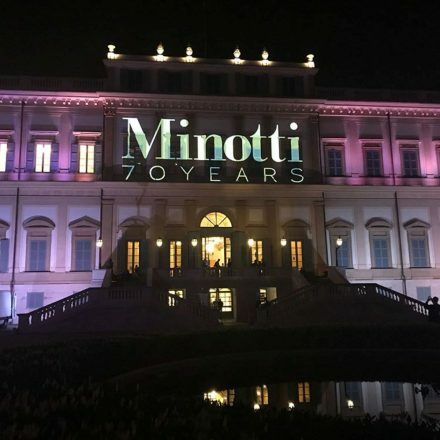 On April 18, Minotti celebrated its 70th anniversary at the Villa Reale di Monza.